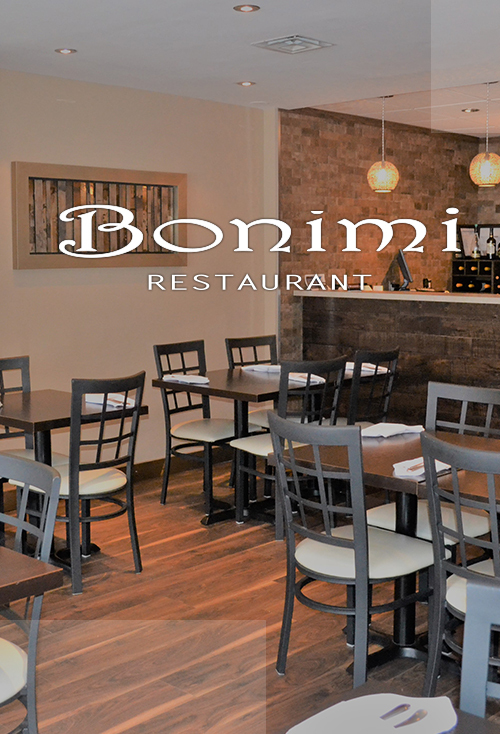 Bonimi is a family owned and operated business, serving the Bloor and Islington community for almost a decade. At Bonimi we offer authentic Serbian cuisine in a warm, welcoming and casual environment. Bonimi's menu features lovingly prepared classics, ranging from traditional Cevapcici, delicious Wiener Schnitzels, hearty Karadjordjeva schnitzels, mouth watering grilled meats and our exquisite homemade desserts. Come and experience traditional Serbian cuisine and our world renowned Serbian hospitality. Private dining and catering options available.